Weight increases rapidly when thyroid gland doesn’t work properly. 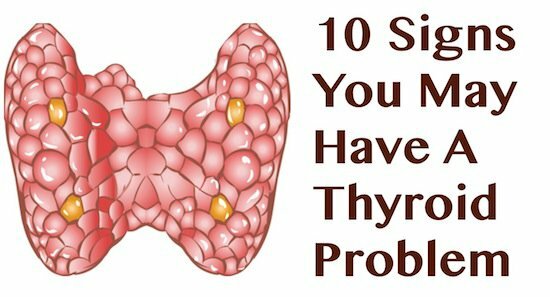 It creates hypothyroidism or hyperthyroidism. It also affects patient’s heart, muscles and bones. Fatigue: The symptoms of thyroid are lethargy, weakness or fatigue. Dry Skin: Skin becomes dry when thyroid occurs. The glow of the face reduces and hair also becomes dry. Many people face hair fall problem. Appetite: The sudden increase of hunger is the symptom of hyperthyroidism. Similarly, one cannot get hunger due to hypothyroidism. If your diet habit is changed then you should not ignore it. Sweat: Thyroid impacts our metabolic rate. Many people get more sweat when they get little cold or heat. Pain: Muscle pain is also the symptom of thyroid. Therefore, you should not avoid pain in hand, leg, shoulder or joint. Constipation: Thyroid affects our digestion. So, you should take medical advice if you often get constipation problem. Depression: Mood changes frequently due to low level of thyroxin hormone. Many people do not get sleep or concentrate in their work. Memory also becomes weak when the problem increases. Fever: Immunity of the body reduces due to hyperthyroidism. In this case, body cannot protect from the diseases and one get health problems. Weight: Sudden increase in weight is the symptom of hypothyroidism. Similarly, hyperthyroidism is the symptom of sudden decrease in weight. Throat: Many people get inflammation in throat due to thyroid problem. They also get pain. In this case, one should immediately take medical advice.